With this new year, many folks are mapping out big, ambitious resolutions for their business and personal lives. But don’t forget the little things you should be doing each January to give your website a little TLC. 1. Update your copyright in your site footer. Many WordPress users will find that theirs has updated automatically, but other platforms require a manual update and this is dead simple. In Squarespace, simply log in to your site and navigate to the footer. Edit your copyright to reflect 2018. Bonus: While you’re at it, do a quick look over of your footer to make sure nothing is out of date, all your links are correct and that there’s nothing missing. If you have social media accounts linked in your footer, make sure they’re all active and delete those you no longer use. 2. Give your page descriptions a quick look. Now is not the time to overhaul your descriptions (that’s something you need to do with intention and planning), but do a quick check to make sure your descriptions are accurate and represent you correctly. I often come across sites with outdated information in the page descriptions, such as locations (if you’ve moved) or a core service that was added after the original descriptions were created. 3. Review your analytics and make a list of your most and least popular pages and blog posts. Is this the content that best represents you? If not, you’ll need to make a plan to shift course or possibly address it on a technical level. Are there any surprises? Has an old blog post had an unexpected surge in popularity? Dig into these surprises and see if there are opportunities to expand on this content and make it work for you. Are website visitors landing on pages that are no longer relevant to you? Then make a plan to remove and redirect those pages or rework the content so it’s doing its job. These tiny tasks should only take you a couple of hours at most—this isn’t a deep dive, but rather some top level tasks you should do every year. 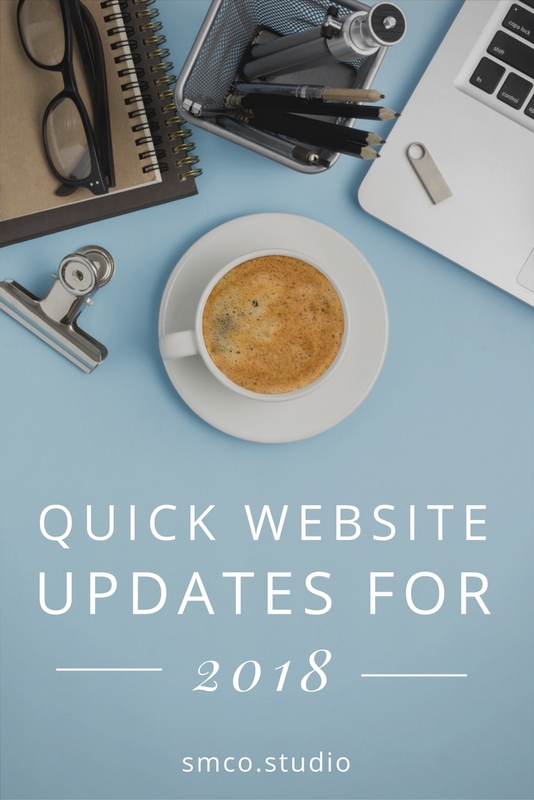 By doing this, you can start off 2018 on the right foot and you’ll make your quarterly maintenance (more on that later) and adding any new features to your website go far more smoothly. Quiz: What's the right platform for your website project?